GM Wants To Pay CEO Dan Akerson $11.1 Million... Or Do They? Hey, the site looks a little different. In response to some of the feedback we've gotten over the past few weeks our designers tightened up the front page so it requires less scrolling. We've also moved the masthead up into that top bar. Heart-clicks are now stars, and when you heart something you "save" it. Other than that, the functionality should remain the same. Remember how we said the U.S. Treasury's auditor found excessive pay for GM executives? That's still a thing. Documents obtained by the Detroit Free Press from the House Oversight committee show GM wants to give CEO Dan Akerson a raise to $11.1 million for 2013, compared to the $9 million he got in 2012. On the one hand, Ford's Alan Mulally was raking in $29.5 million way back in 2011 to spend on red sweater vests and Sergio Marchionne gets about $22.2 million to buy fancy black turtleneck sweaters. Poor Akerson doesn't seem to own any sweaters. On the other hand, so long as GM is partially owned by the government they're going to be subjected to this kind of oversight. Reports that General Motors has requested an increase in Dan Akerson's 2013 compensation are false. In fact, Dan specifically asked to keep his compensation at the same level for 2013 as it was in 2012 and 2011. That amount of $9 million is what the company submitted to the Office of the Special Master for TARP Executive Compensation. Unfortunately, someone who obviously did not understand the compensation request leaked the information in a way that misrepresented the truth in order to score political points on the eve of a congressional hearing. We ask that media outlets that reported the false story to correct the record. Hey, what a coincidence, The Detroit News' David Shepardson reports that the U.S. Treasury is in the process of offloading its remaining 19% stake in GM. The plan is to drop all of their stock, discreetly, until all 300.1 million shares are no longer owned by the government as of March 2014. At the current price of the stock, the government will lose more than $12 billion on the bailout, which isn't that bad when you think about the impact of GM going f'real bankrupt and not fake bankrupt like they did. I mean, we get a new Corvette and a diesel compact car. Bring back the El Camino and we'll be totally square. 3rd Gear: Ferrari Dealer Wants To Buy The Boston Globe? Ernie Boch, Jr. is a car dealer in the New England area who owns Toyota, Scion, Honda, Ferrari, and Maserati dealerships. The Boston Globe is the troubled newspaper currently owned by The New York Times. Boch, Jr. thinks it would be fun to own a newspaper and is hooking up with a marketing agency CEO and Subaru of New England to buy the Globe reports Automotive News. This is all very preliminary and Boch, Jr. is merely in the investigative/due-diligence portion of the process, but it would be intriguing to see what a car dealer would do with a newspaper. Car reviews on the front page? Why not! 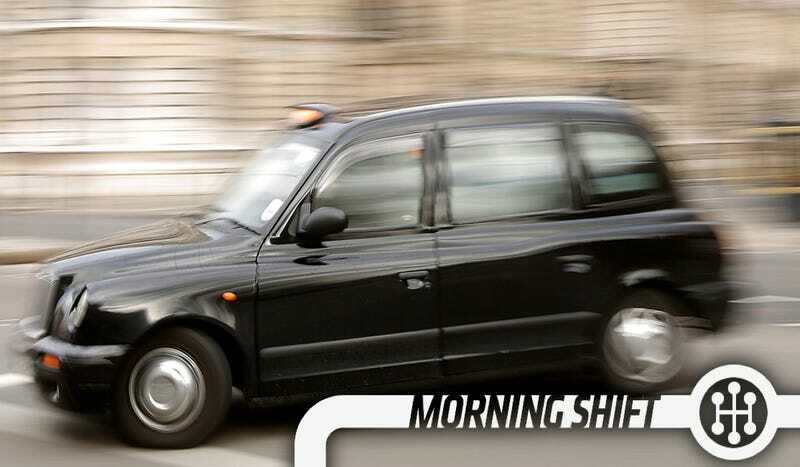 Bloomberg is reporting this morning that Manganese Bronze, maker of the iconic London black cab, will take $152 million and dump it into the company over the next five years to make it profitable. You'll remember they bought the cab maker for about $17 million. The weird Chinese affection for the Coventry-built cabs has always amused me, but apparently there's enough demand overseas to convince them it could be a nice side business. There are already reportedly 500 of those cabs operating in China. More of the black cabs have also started operating in Australia and Saudi Arabia. Rolls-Royce's seemingly endless teasers are now, finally, coming closer to an end with the admission that the Rolls-Royce Wraith will be a "fastback." “The purposeful fastback profile is Wraith’s defining element. Inherent in the graceful line that sweeps from the top of the screen to the very rear edge is the promise of fast, yet effortless touring. Yet, perhaps my favourite aspect is the expressive gesture that comes from the side window graphic, gliding through Wraith’s glamorous coach door." Ok, enough teasing, just show us.